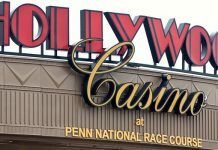 Recently, the New Jersey Division of Gaming Enforcement said that Vinh Dao, whose hometown was not made public, violated New Jersey law. The law requires that online betting be done only by people who are physically within the borders of the state. Dao cooperated with authorities and negotiated to end the case, which began over five years ago. Because Dao was cooperative, the state of New Jersey agreed to allow Dao to keep $2,500 of the almost $93,000 that was in his online accounts connected to Caesars Interactive-NJ and the Borgata. The case dates back to February 2014, only three months after online gaming began in New Jersey. At the time, geolocation technology was still under development and being adjusted in New Jersey. 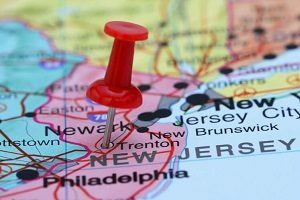 The state has long touted the stringent geolocation technology used to ensure internet gambling is only happening within New Jersey borders. The state considers itself a national role model in the field. 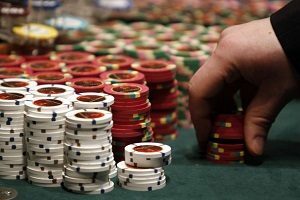 The state has also said that most of the several daily attempts to gamble from outside New Jersey are detected and turned away. A message seeking comment was left recently with Dao’s lawyer. It was not immediately clear how Dao was about to circumvent the geolocation technology designed to verify that a person is physically in the state of New Jersey before being allowed to gamble. Geolocation technology is used to create a virtual fence around New Jersey. The technology uses data from wireless carriers as well as other components to verify a person’s location. Geolocation relies on connections that cell phones make to nearby cell towers. People can easily download apps to their phones that will allow the device to hide GPS coordinates, but according to technology executives, users cannot thwart or trick cellphone tower data. Several layers of high technology should also be active to ensure that underage individuals or people on casino exclusion lists are not able to gamble online. Companies will crosscheck the details a customer provides during sign-up against private and public databases, as well as other sources. The technology could also prompt a personal identification question that only a legitimate user would be able to answer. The gambling companies that permitted Dao to gamble virtually from outside New Jersey state lines could be subject to fines. 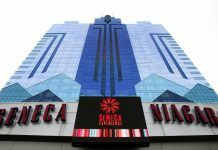 The Borgata declined to comment, and Caesars Interactive stated that it would look into the details of the case. However, Caesars did not address potential repercussions, and gambling regulators did not respond to questions about the situation. The money Dao was forced to forfeit will be divided between a fund for senior citizens and the disabled, and programs to prevent or treat compulsive gambling. The Dao case was the biggest of the six gambling fund forfeiture cases that were recently made public. The cases involved casino companies accepting wagers from individuals who are ineligible to gamble. Those who are excluded from gambling to include individuals less than 21 years of age, those who placed themselves on a self-exclusion list, or in Dao’s situation, where gambling from outside the state’s borders. In addition to the Borgata and Caesars Interactive, smaller forfeitures were ordered in cases involving Bally’s and the Golden Nugget.